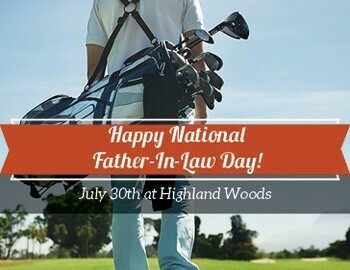 Bring your Father-In-Law out for golf, food, and good times on July 30th at Highland Woods! All Father-in-Laws receive $5 off their Green Fee/Cart Fee! !